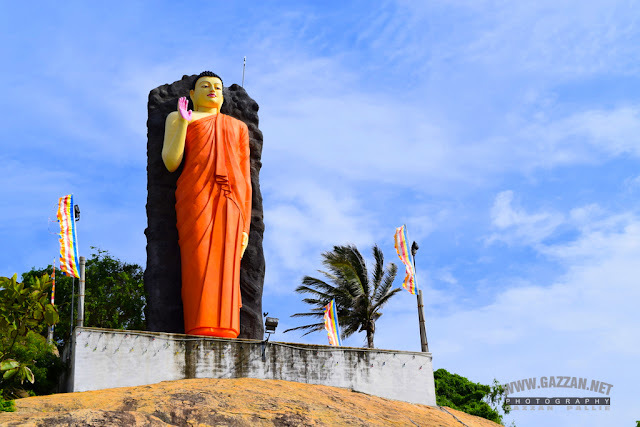 Bundala is situated on the south coast, close to Hambantota on main southern highway A2 from Colombo. The extent is including water bodies around 6200 ha. The climatic location in the low country arid zone, like Yala and Wilpattu national parks, the annual temperature is 27.1'C , humidity 76-81% and winds 15-23 km/hr in may-september. Geographically it can be divided as Beach and sand dunes, Inner coastal plain, Outer coastal plain with lagoon, . The vegetation types of the forest is Terrestrial, Tall riverine forest along the Kirindi Oya river, Lagoon marsh, Sand dune and beach front vegetation.